Home apple news Technology jailbreak iOS 11 and iOS 10.3.2 was successful! with proof! jailbreak iOS 11 and iOS 10.3.2 was successful! with proof! 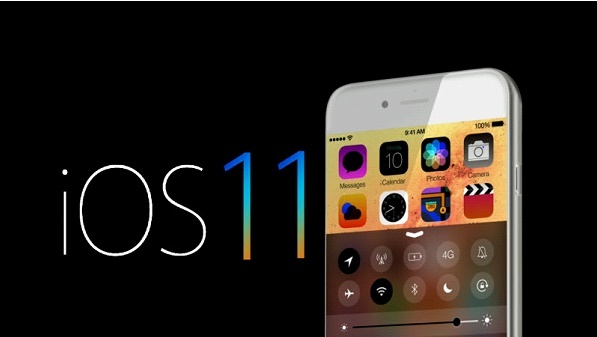 The jailbreak iOS 11 is now a reality . More than two weeks after Apple introduced its new operating system, KeenLab's security research team demonstrated at the MOSEC security conference. 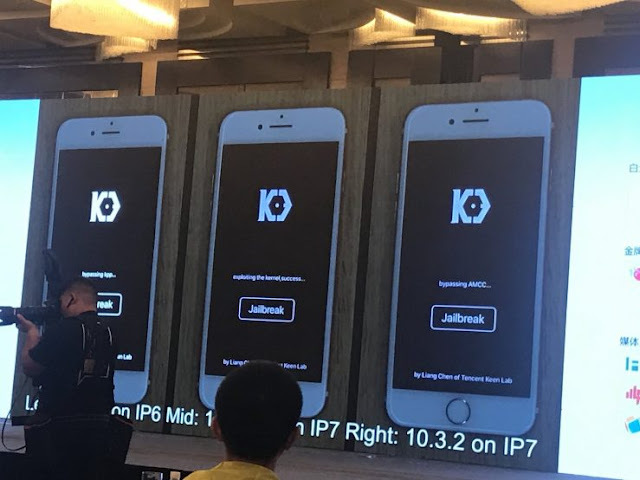 At the time of the public proof, KeenLab researchers used an iPhone 6 under iOS 10.3.2, an iPhone 7 on iOS 11 beta 2 and another iPhone 7 on iOS 10.3.2. A 0-day fault was used to arrive at this jailbreak, which means that it is not known by Apple and that the details about it are not made public. It is therefore not possible to clog it. As shown by the photos shared on Twitter, KeenLab injected an application on iPhone and was responsible for opening it to set up the jailbreak. 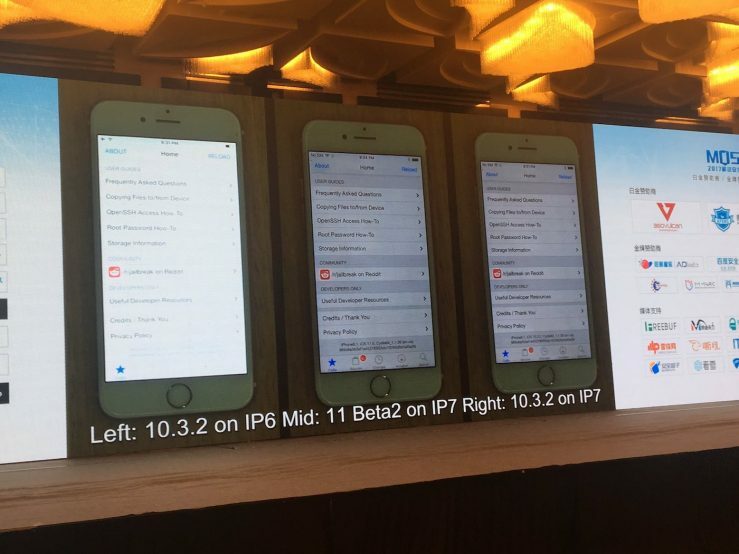 Then we see Cydia open on every iPhone, whether it's iOS 10.3.2 or iOS 11 beta 2. Will the public have the right to jailbreak? This is an existential question, but KeenLab has not said anything about it at this time. For iOS 10.3.2, this is a possibility, but iOS 10.3.3 is currently in beta. We will have to see once the final version proposed. For iOS 11, we suspect that researchers are not going to release a jailbreak on a beta version. We'll have to wait until the fall to see more.